Young Drummer of the Year 2019 – The Finals! 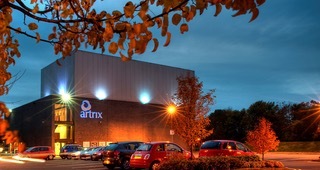 This year’s finals will be held on the 3rd February 2019 at the Artrix Arts Centre in Bromsgrove, near Birmingham. All tickets are £10 and are now on sale – just visit the theatre’s Event Page to book online, or ring the Box office on 01527 577330. The event will commence at 2pm. 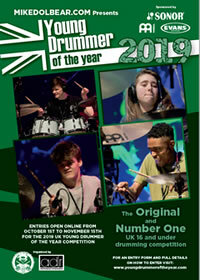 The Young Drummer of the Year 2019 Shortlist!